Use FME to restructure KML or KMZ files into vector-based shapefiles for use in GIS software like ArcGIS or QGIS. Simplify, extract, or enhance your data for further analysis in a few easy steps. With FME you can convert your KML data into shapefiles with little effort. FME will read the KML elements in your file and present them as feature types for further, more specific transformations like setting the coordinate system of your feature class. 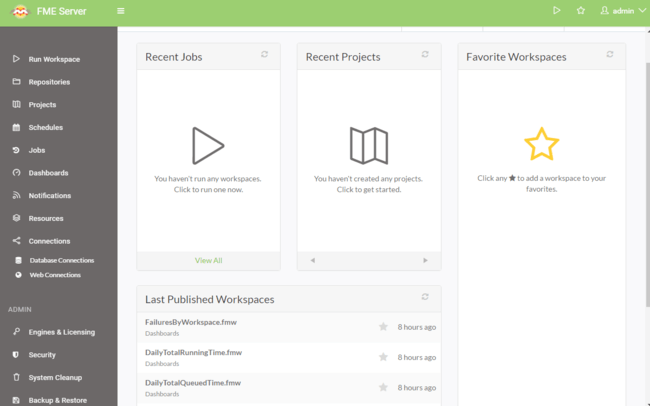 With these workflows you will be able to control which attributes will be save or removed. Points, Lines, and Polygons - Oh my! The idea of transforming a file with multiple geometries into a file with one type of geometry sounds difficult, but it’s not! You have the ability to manipulate the feature(s) of interest in your KML file and turn them into a point, line, or polygon shapefile. Whether you digitized the information in Google Earth or retrieved the file elsewhere, you are not limited in your display and transformation options. Even add additional information to the final shapefiles during the conversion process. 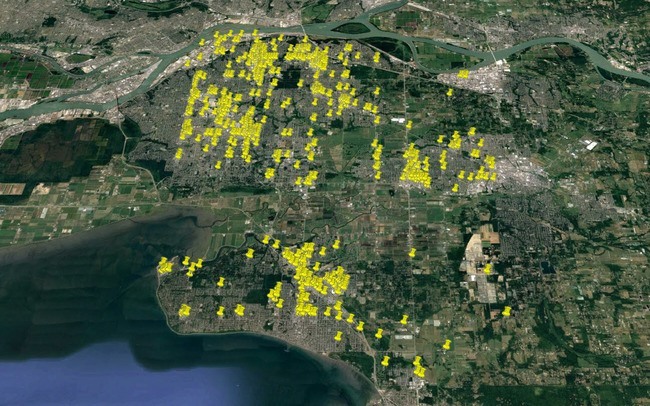 After: Surrey restaurants which had “Pizza” in their name as .shp points. FME is designed to improve your productivity so you can spend more time using your data and less time fighting with it. Once configured in its intuitive graphical user interface, KML to SHP transformation workflows can run automatically in the background using FME Server. Set up schedules to run your workflow and deliver results to those who need it. When you use FME to create your KML to SHP workflow, you will have an amazing amount of control over your data as there are many KML specific transformers, like the KMLStyler and KMLPropertySetter, available for you to use. 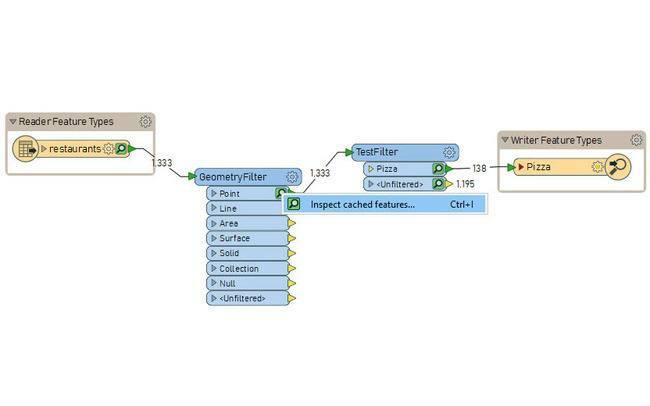 FME’s drag-and-drop design means simple and intuitive workflows that don’t require any coding. You can even view the results of each transformation step in the Data Inspector when running the workflow with Feature Caching. FME lets you integrate many applications and file formats. 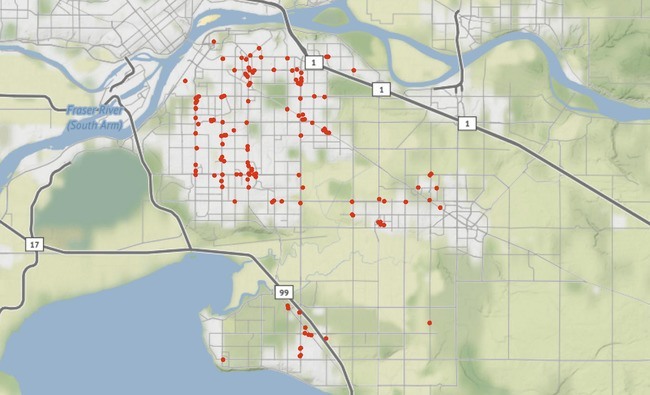 Here are some of the ways our users convert KML.